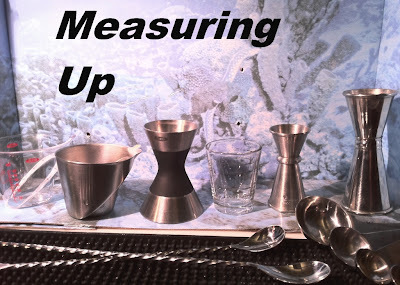 Boulder Libation: Measuring Up: A look at jiggers and more. 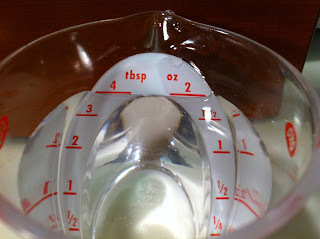 Accurate measurements are very important when using any recipe. Now the sign of someone who really knows what they are doing, the use of a jigger used to be seen as the sign of a novice bartender. The pros all "free-poured" through the use of "counts". 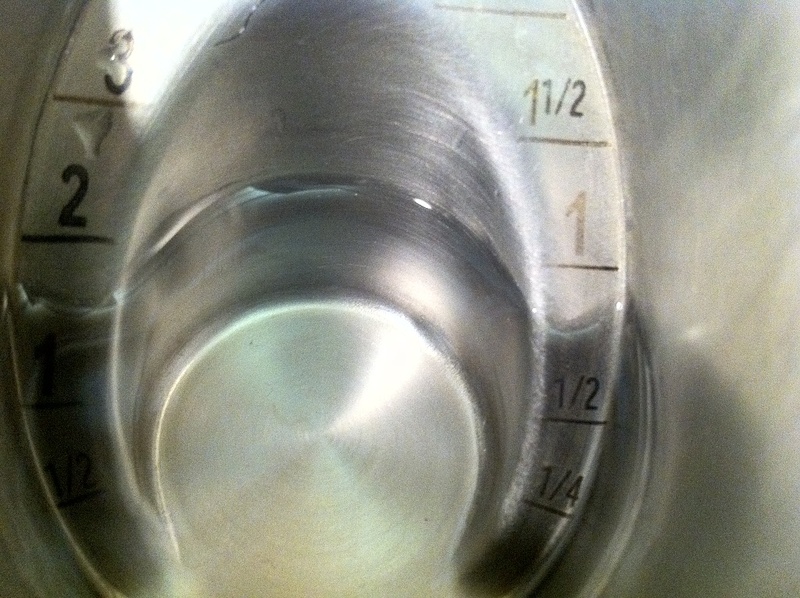 The art of "free-pouring" lies in watching the rate at which the pour-spout is allowing the liquid to flow, judging that rate of flow, and counting accordingly as the liquid flows out. This is a great skill, and essential for busy bars where the speed at which a drink is made is nearly as important as how it tastes. Sugary mixers like fountain sodas,"sour" mix, and the like leave more room for error in your pours. There's no reason to "jigger" a "shot" of rum for that "rum and coke" you are making. You get a feel for what a shot looks like in the glass with ice, and top the glass off with your mixer(s). Not a bad skill if you are a professional with a crowd, or want to play bartender at parties. 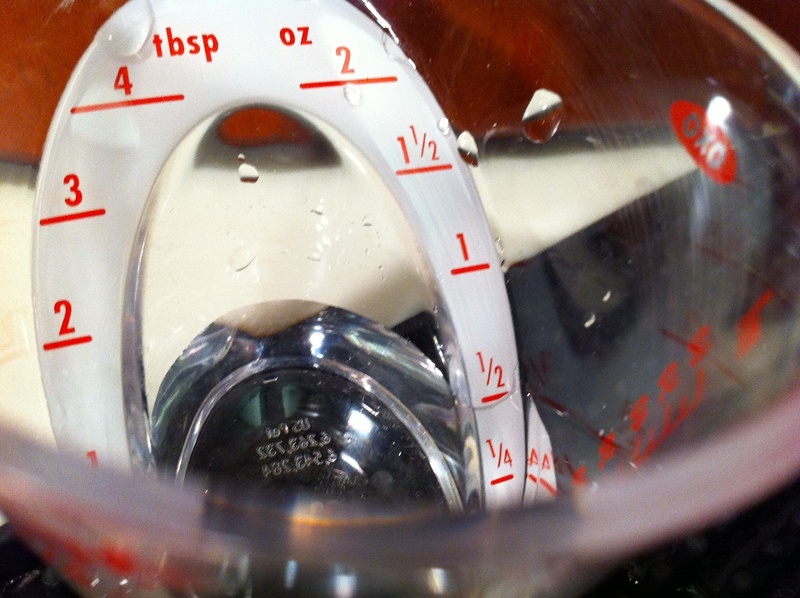 Making these drinks with a reasonable amount of accuracy will make most people quite happy. 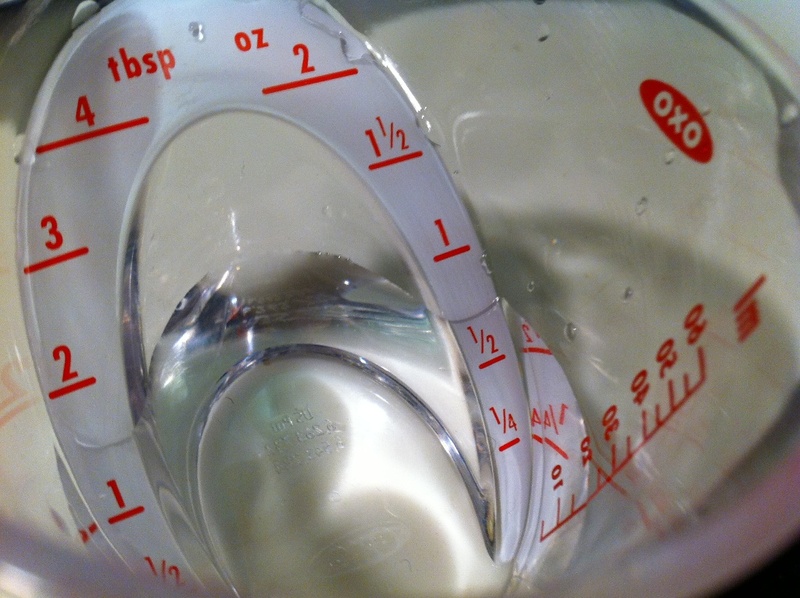 If you are looking at the recipes on this blog however, exact measurements are essential to the final outcome. Consistency in your pours is really the most important factor when it comes to your ability to replicate that favorite drink of yours, be it your recipe or someone else's. What about sharing that recipe of yours though? If your 1/4 ounce is smaller than my 1/4 ounce then my drink could end up stronger or sweeter than your results. 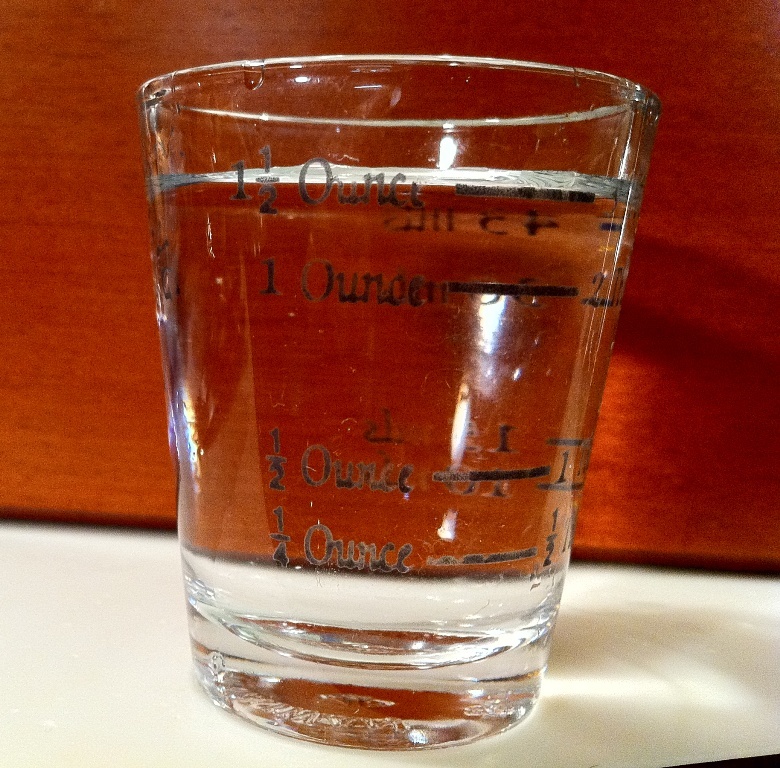 What about that 1.5 ounce "shot", is it the same as your 22 ml jigger? It stands to reason then, that having measuring equipment that you know and trust, is essential to crafting repeatable and enjoyable results. I took a close look at the equipment I've been using and the results surprised me. This was a difficult post to work out. I needed a control, and I needed to understand how these different pieces of equipment compared to each other. I also needed to be able to work through those results in a way that made sense when presented in this article. 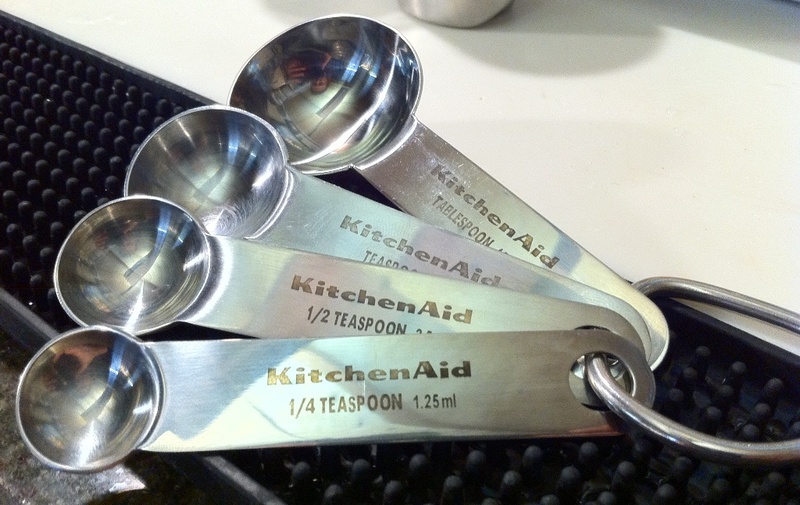 After some time of experimenting with measurements back and forth, I decided that my control would be my set of stainless steel "KitchenAid" measuring spoons. 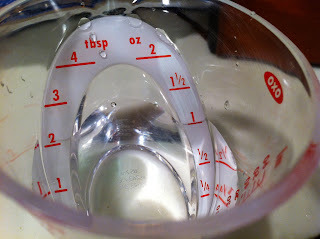 I also decided that the best way to present my findings would be based on how these items compared when measuring the common increments of 1/4, 1/2, 3/4, 1, 1.5 and 2 ounces. (7.5 ml, 15 ml, 22 ml, 30ml, 45 ml and 60 ml respectively). First though, to introduce the equipment. I like the nice round, deep bowls of these spoons over the more common shallow bowls you find on measuring spoons. These are also marked in metric which can come in handy. 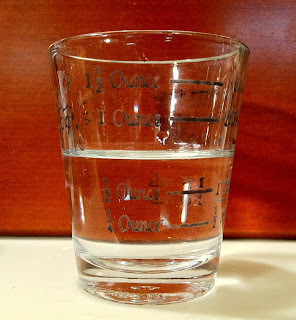 Generic Shot Glass with measurements. I picked this up at a local liquor store. 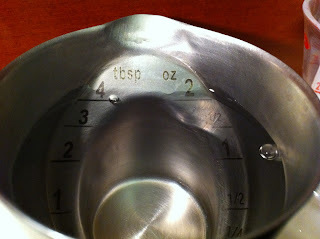 It has markings on the side for ounces (.25-1.5), Tablespoons (.5-3), teaspoons (1-6 and 9), and in mls (10, 15, 30 and 45). Measures in ounces; "1/4, 1/2, 1" on one side and "1/3, 3/4 and 1 1/2" on the reverse. 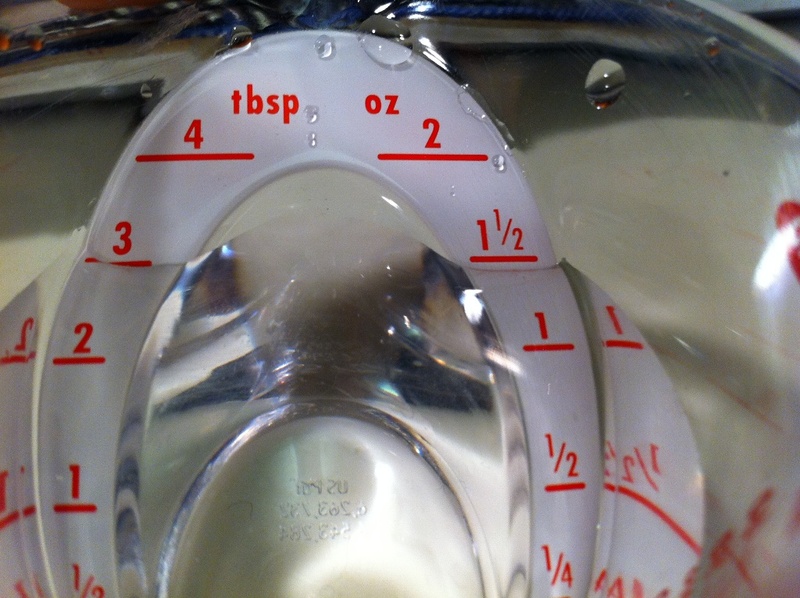 Measures in ounces; "1/2 ounce" (15 ml) on one side, with a line at the "1/4 ounce" (7.5 ml) mark and "3/4 ounce" (22 ml) on the reverse. 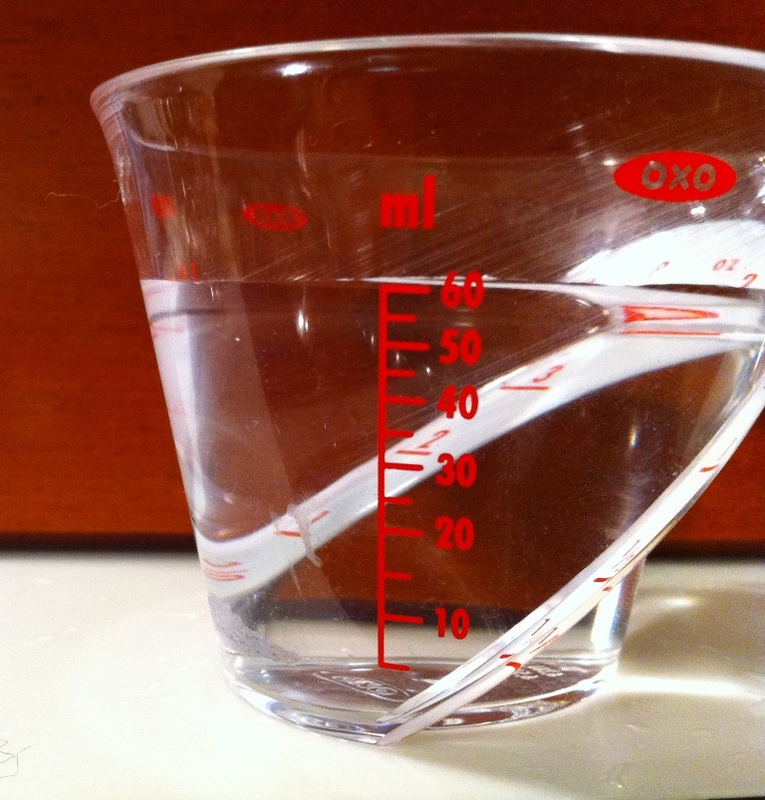 Measures in ounces; "1 ounce" (30 ml) on one side and "1 1/2 ounces" (45 ml) on the reverse. 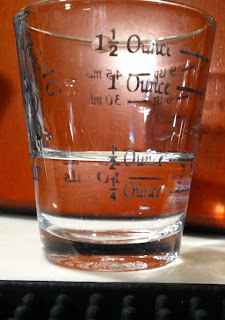 I started by measuring 7.5 ml of water from the spoons into the shot glass and we were spot on. Pouring that liquid into the plastic 2 oz. Oxo cup you can see that the liquid goes just over the line. 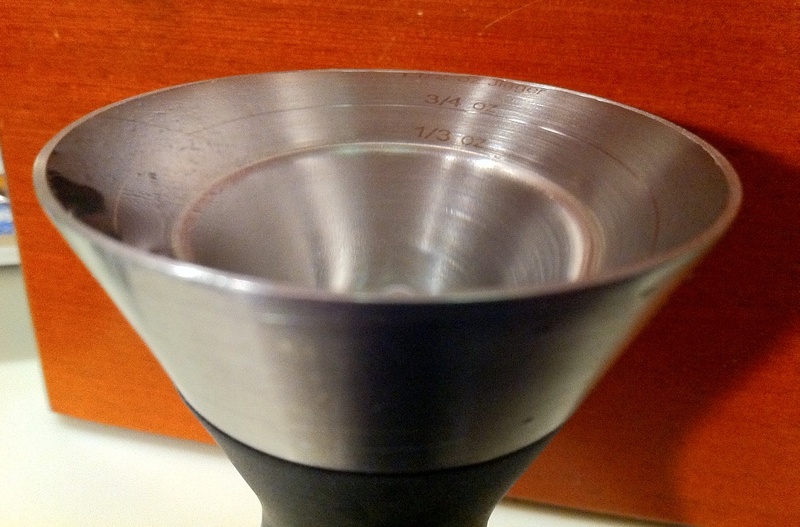 Using this cup to measure a quarter of an ounce would give you slightly "light" pour. 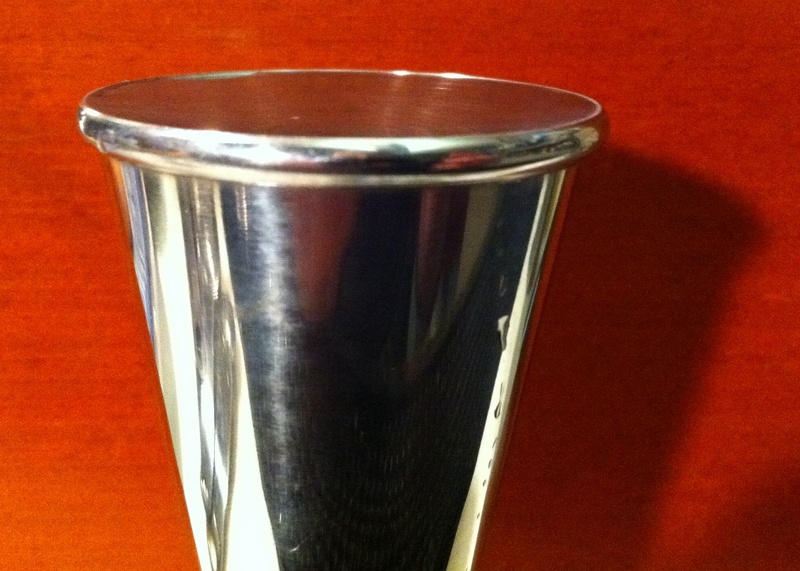 The same liquid then poured into the stainless steel 2 oz Oxo cup. 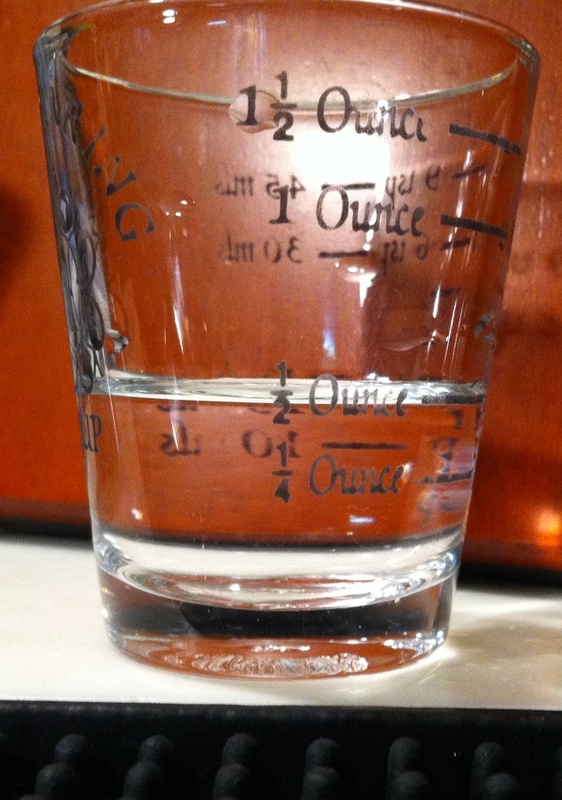 You can see the liquid half-way between the 1/4 oz and 1/2 oz measurement making this an even lighter pour. Poured into the Cocktail Kingdom jigger, a quarter of an ounce is just shy of the 1/2 ounce mark. 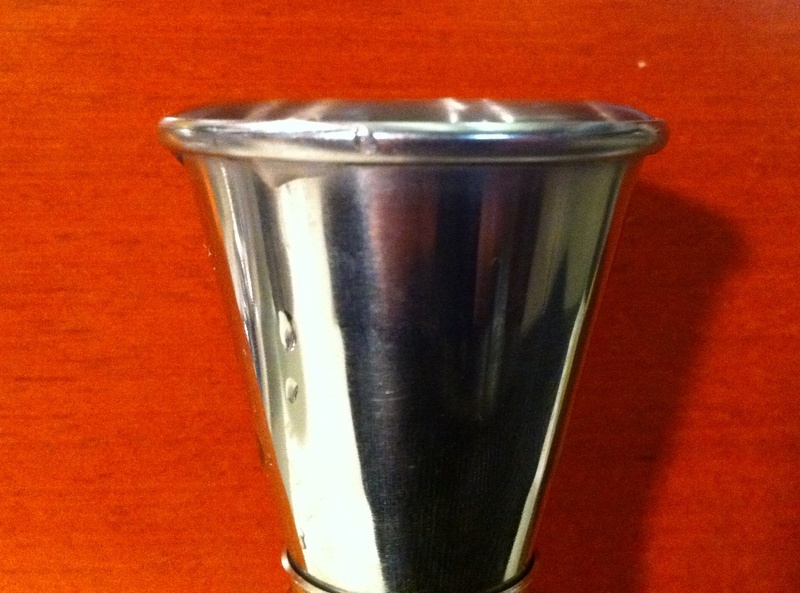 Not quite as light a pour as the stainless steel oxo jigger but still lighter than the plastic 2 oz Oxo cup. 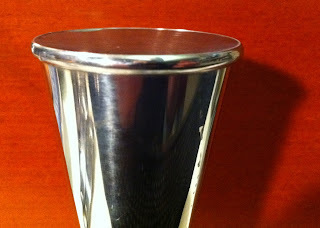 Coming to the Oxo jigger, the same liquid looks perfect. Considering the loss of a few drops pouring from one container to another I think we have our winners for 1/4 oz accuracy test. 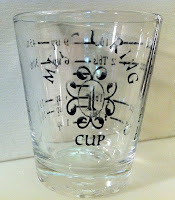 The glass shot glass and Oxo jigger were consistent with the control. The stainless steel Oxo had the lightest pour, followed by the Cocktail Kingdom jigger and then the plastic Oxo cup. Here is one Tablespoon of water (15ml) into the shot glass. Looking pretty dead on, possibly a little under the line but reasonably accurate. 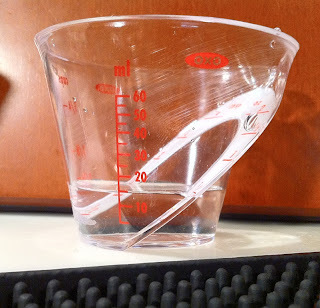 This measure poured into the plastic 2 oz. Oxo cup yields good results too looking spot on. A double check from the side shows the ml demarcation to be very accurate as well. Again we see the stainless steel Oxo providing a light pour. This one's turning into a friend of the "house" but not of your accuracy. The Oxo jigger showing strong again. This one is right on the line, a perfect measure. Oops! The liquid overflows the 15ml jigger. 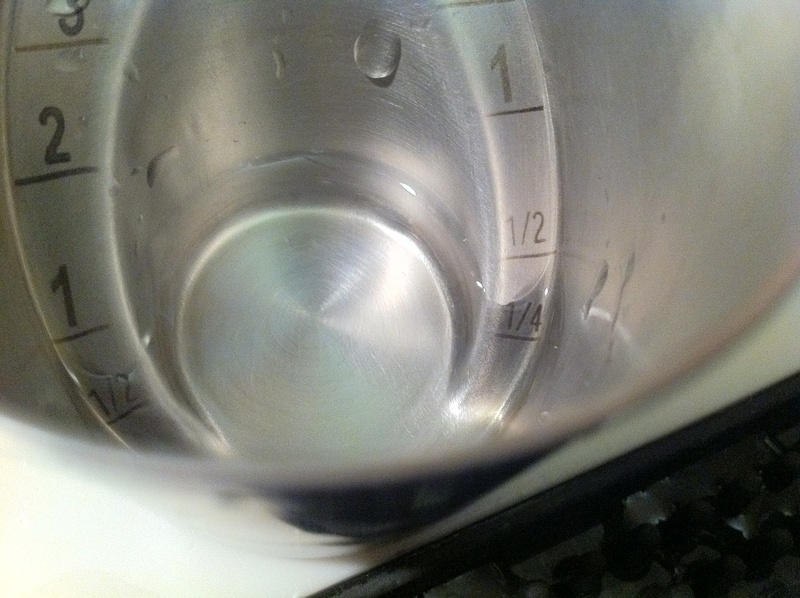 In fact, a level pour from this side of the jigger registered well under the 15ml mark on the plastic 2 oz Oxo cup looking more like 14-14.5 ml. Since the Oxo jigger showed so well on the 1/2 ounce test, I put two 1/2 ounce measures from that jigger into the AG 1 ounce jigger. The liquid domed a bit more than I would be comfortable with when mixing a drink, but this jigger performed better than the 1/2 ounce jigger above. 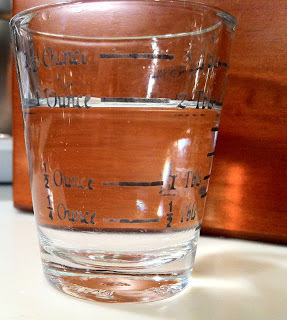 The shot glass lacks a mark for 3/4 of an ounce but after pouring in 1 Tablespoon (15ml), 1 teaspoon (5 ml) and 1/2 teaspoon (2.5 ml), the line looks pretty good! 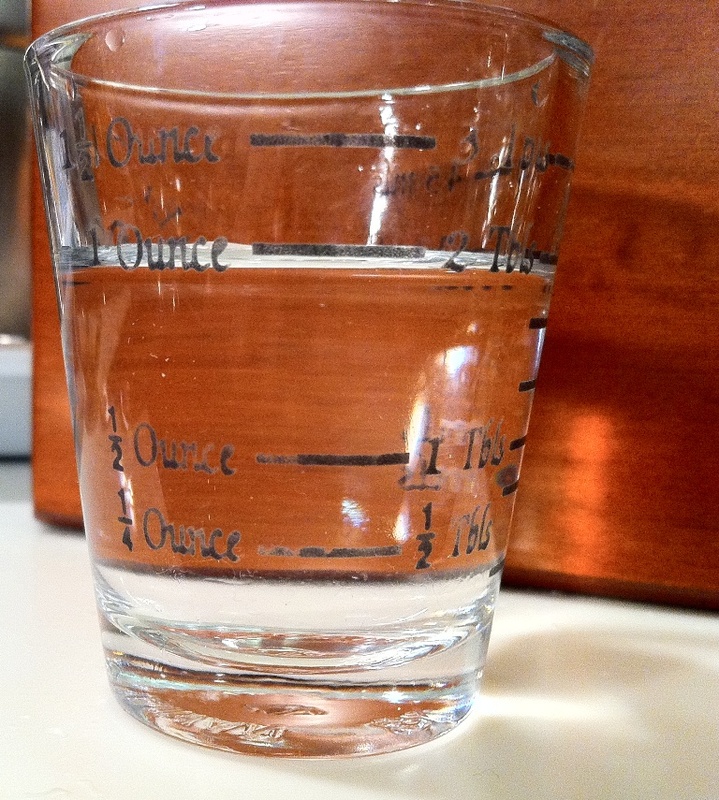 Again, no mark for 3/4 ounce on this one but the water line does look reasonably accurate. 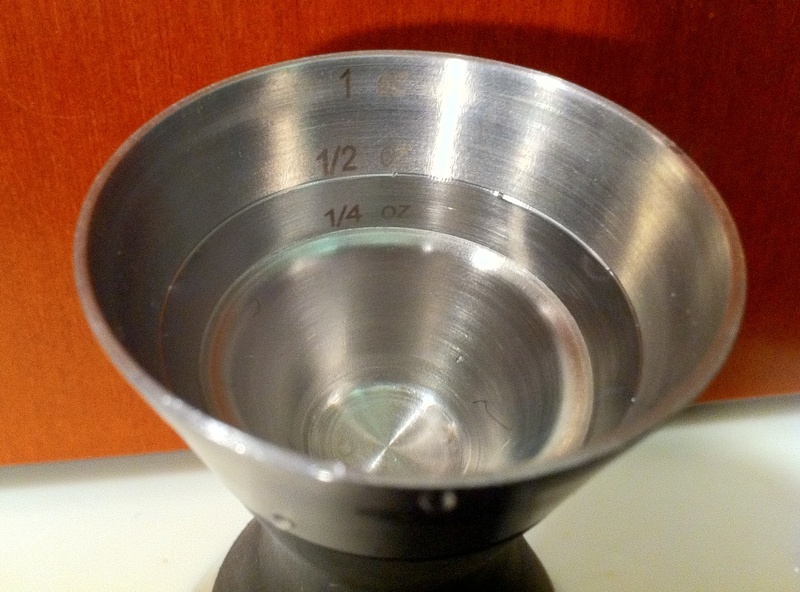 The stainless steel Oxo short pours again, with the 3/4 oz of liquid measuring close to a full ounce. The Oxo jigger performing like a champ, the measurement is spot on once again. 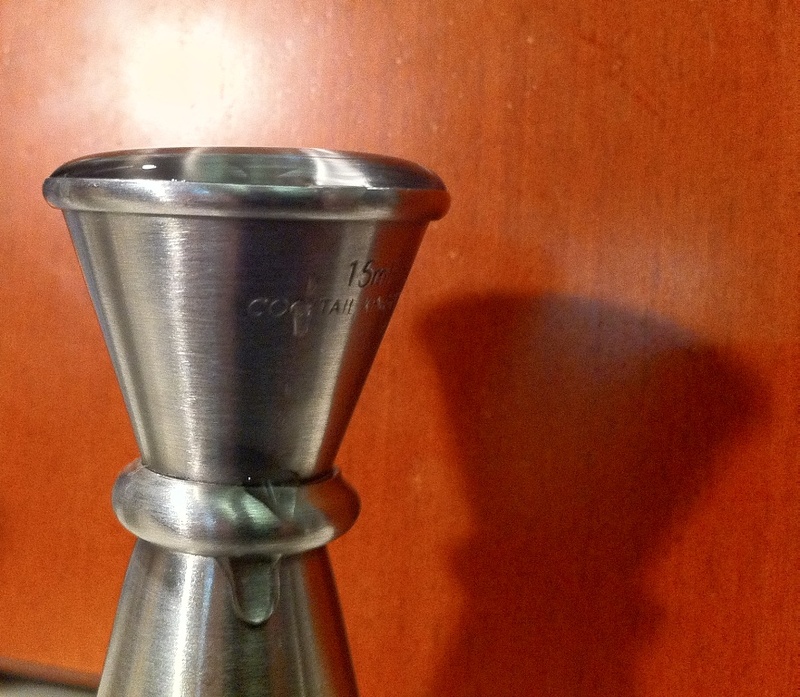 The 3/4 ounce side of the Cocktail Kingdom jigger is spot on with nice, comfortable, even level. 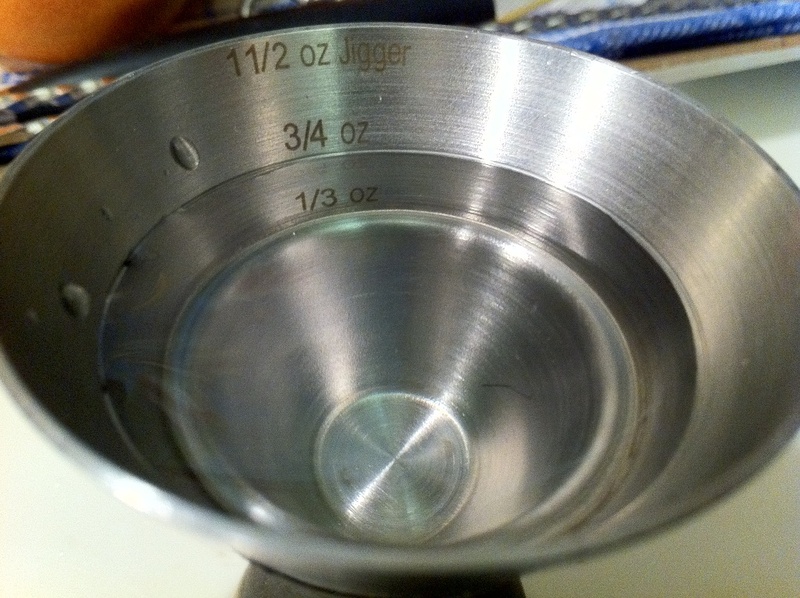 Taking the 3/4 oz CK jigger into the AG "1 1/2 ounce" jigger twice also gave a comfortably level measure. Measuring two Tablespoons into the shot glass revealed this instrument's first error. This came in decidedly below the line, not a huge amount off, but certainly further off than it's earlier readings. 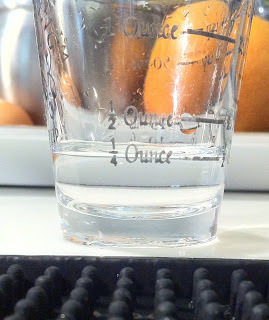 Though not as off as the shot glass, this measurement is slightly off as well. This measurement should be just under the line, but the water level is just over the line so this cup would ever so slightly under-measure one ounce. 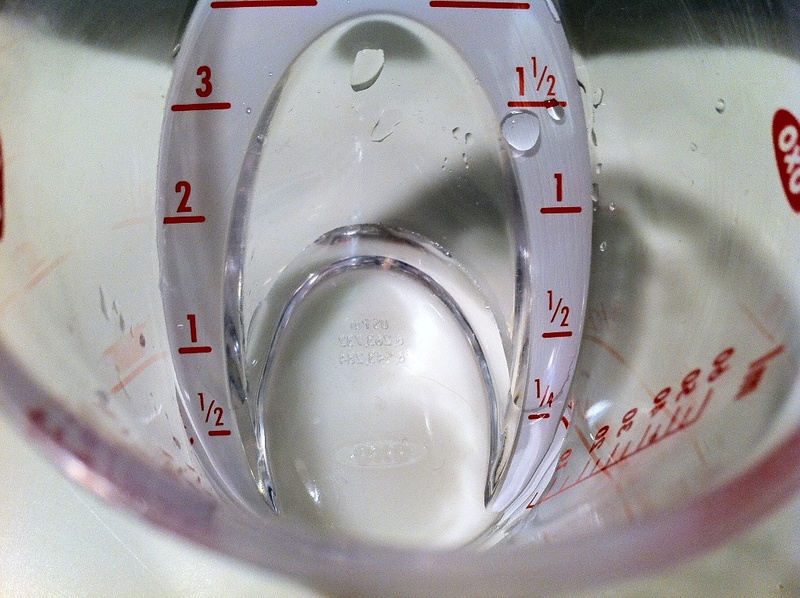 Staying consistent with huge under-pours, the s.s. Oxo reads well over the 1 ounce mark when the measured ounce is added. 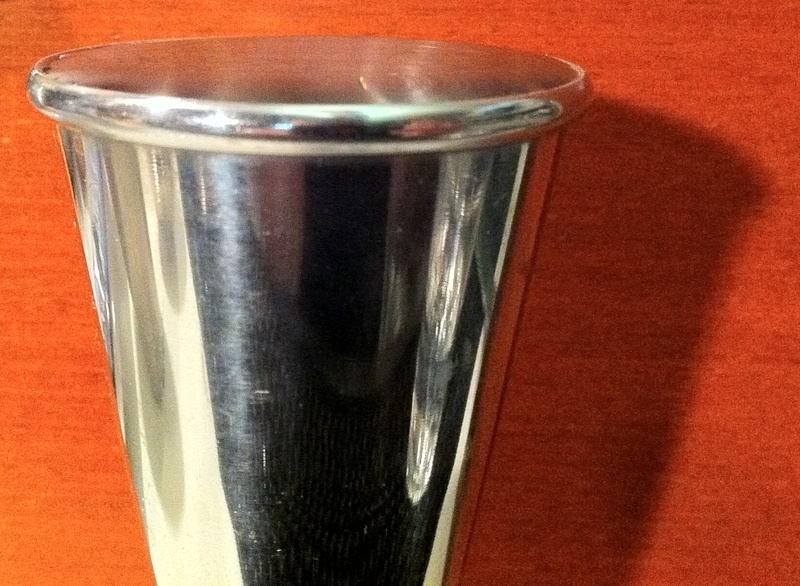 The Oxo jigger comfortably holds the ounce of liquid. It's nice to see consistency with the pours, the measured ounce looks the same in the AG 1 ounce jigger as when I poured the two 1/2 ounce measurements into it. The "Shot" glass not doing so well on the measured shot. 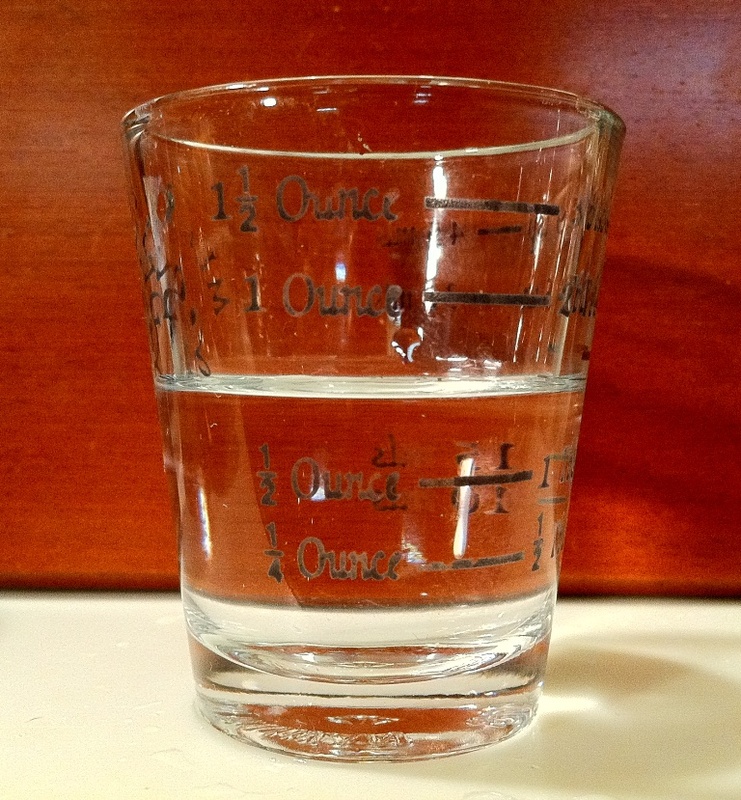 When 45 ml, or 3 Tablespoons were measured into the glass the water level rose above the mark meaning a shot measured in this glass would be slightly "light". The plastic Oxo 2 oz. 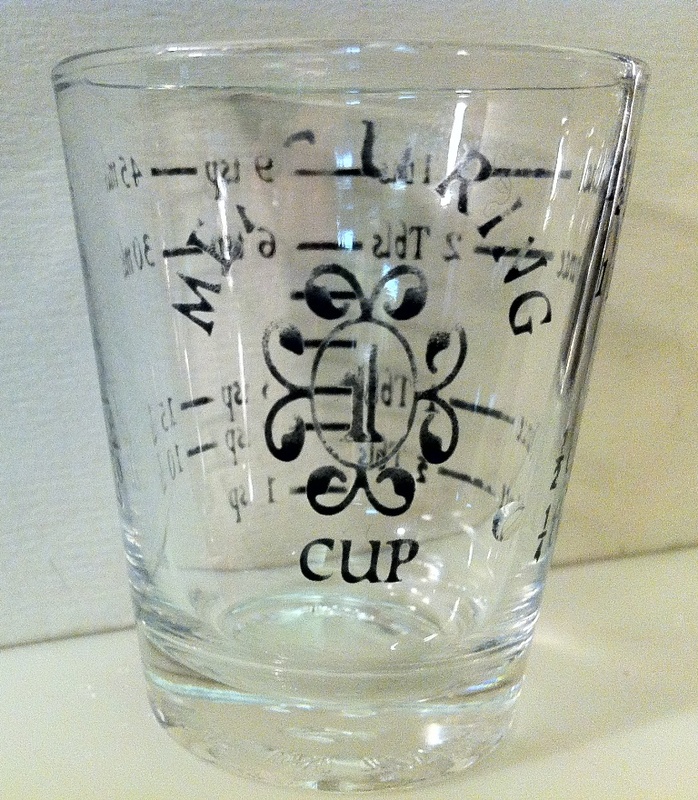 cup shows under the mark meaning a 1.5 ounce "shot" measured in this cup would end up slightly "heavy". Worth noting however, is that the liquid measured exactly right on the 45 ml mark. 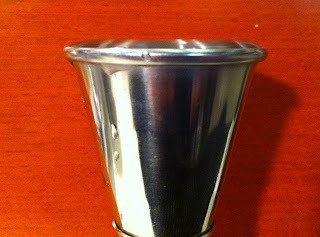 The Oxo jigger took the measured shot very well coming right to the top without "doming" over, meaning you probably won't spill using this jigger to measure your "shot". The AG jigger takes the measured shot right to the brim without any "doming", making this a very easy and accurate tool to use for the 1 1/2 ounce (45 ml) measure. 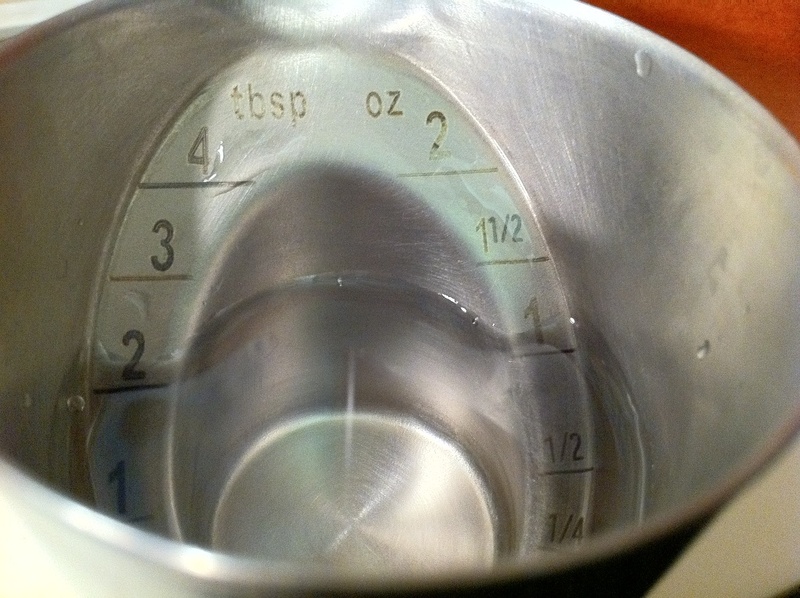 Placing 4 measured Tablespoons (60 ml) into the the plastic 2 oz. 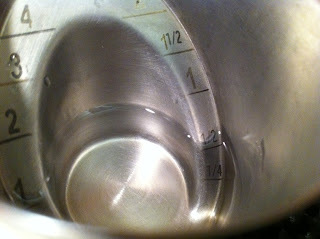 Oxo cup brought the water level just under the 2 oz mark, right where you would take a pour from the bottle. 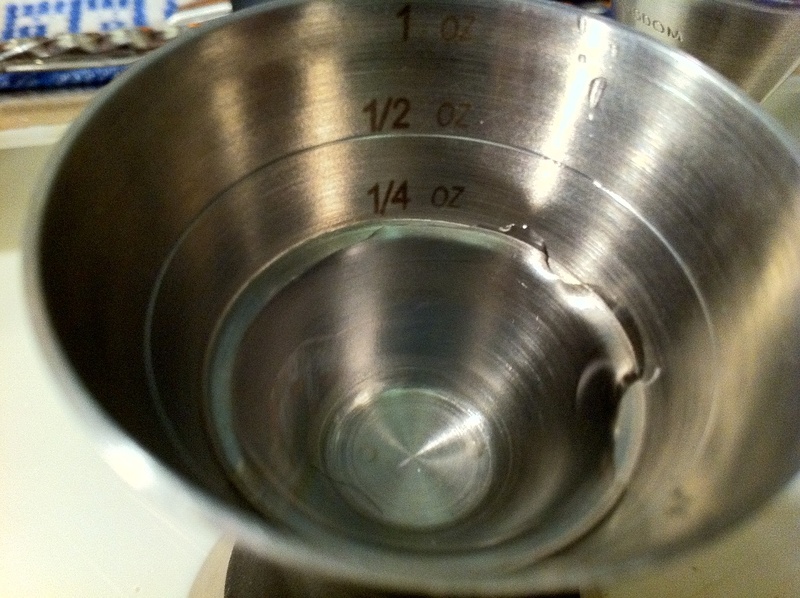 The water at the 15, 30, and 45 ml looked good as added the Tablespoons, but the 4th Tbs. took the level ever-so-slightly over the 60 ml mark. 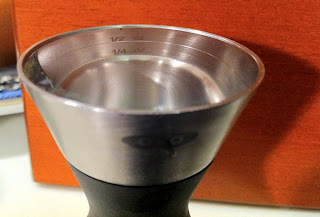 Once again the stainless steel Oxo provides a "light"pour. The results did surprise me. 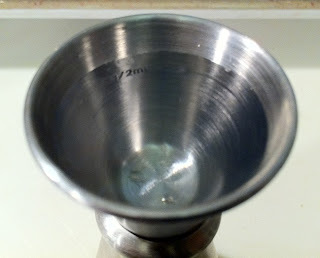 I'm thinking of tossing out the stainless steel "2 ounce" Oxo measuring cup. 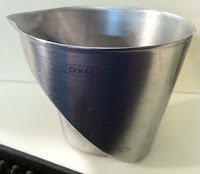 The plastic Oxo cup and stainless steel jigger proved very accurate however. I did not expect the Cocktail Kingdom .25/.5 oz side of the jigger to be so off. 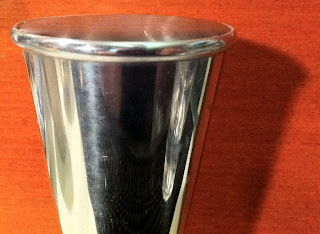 Perhaps there was a factory error on my jigger though, as the other side worked much better and CK's quality control is normally very high. 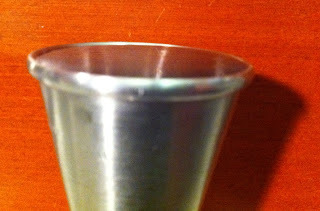 The 1 oz side of the AG jigger under-measured slightly but the 1.5 ounce side was spot on. For the 1/4 ounce and 1/2 ounce measurements the shot glass was great, but as I got into the 1 and 1.5 ounce measures it was not so great. The most accurate pair then proved to be the Oxo jigger and plastic 2 oz measuring cup. 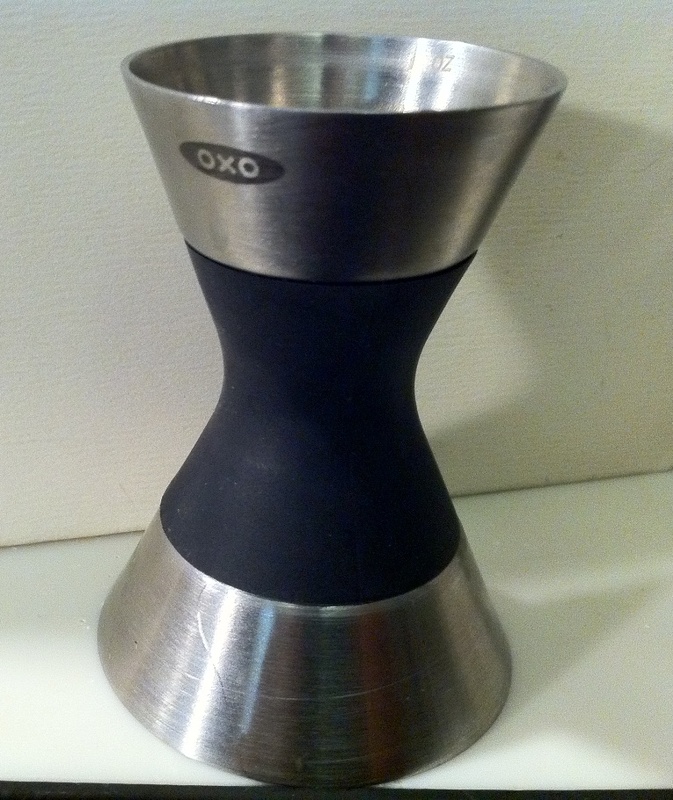 The "Japanese style" jiggers have a great balance and do not spill as easily as the Oxo jigger. The traditional Japanese style of pouring with a jigger involves making sure that the liquid flows "from bottle to shaker in a smooth stream", so a slight over-pour would be inevitable. With this in mind, and with practice, these jiggers should prove very accurate. Their use at home is up to you. They look great, are mostly accurate, resist spillage and are easy to take care of. 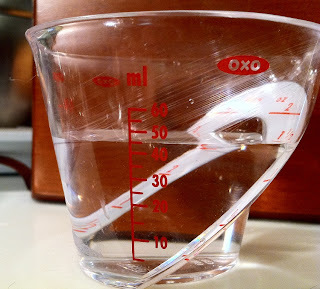 With these findings, I'll be using the Oxo jigger and plastic measuring cup more often, especially for 1/4 ounce and 1/2 ounce measures.They won't replace the jiggers though, which are just too much fun to use to put away. too bad you didn't have the cheap, standard fare stainless jiggers (1oz-1/2oz & 1.5oz-.75oz)... that's what I use behind the bar, and see most commonly when I'm behind other bars... but I do keep two of the clear OXOs as additional options when I need to measure something strong-flavored and don't want to taint my workhorses on a busy night. thanks for the research! The ProJig looks interesting. Looking at the design, My only concern would be cleaning it. If you didn't rinse right away, and had something sticky dry in one of the small wells, it could be difficult to get into the corners. Do you have one of these? Has this happened to you? It's an interesting design, and looks great. Will try to get one in for the follow-up post. 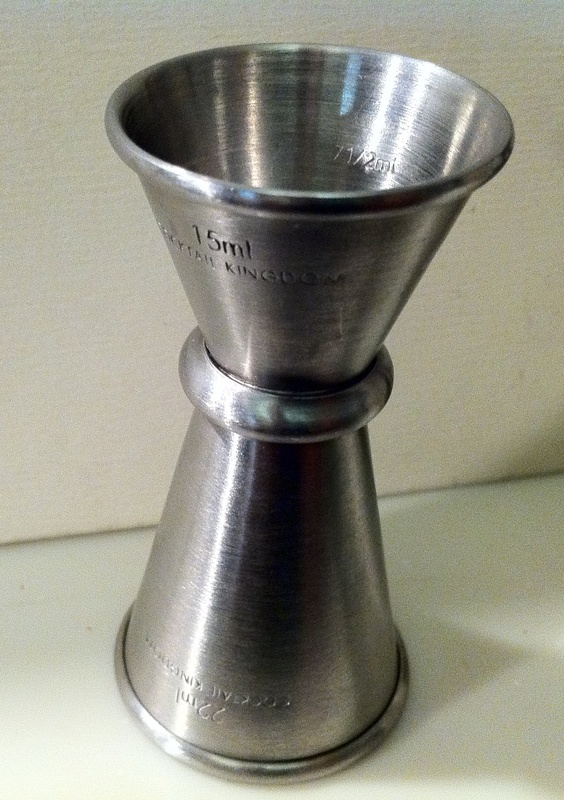 Cocktail Kingdom will be sending me a replacement for their jigger at some point, and I would like to get some of the "cheap, standard fare" jiggers in as Matt Lanning suggested, so eventually I'll have enough new tools in for another round of testing. 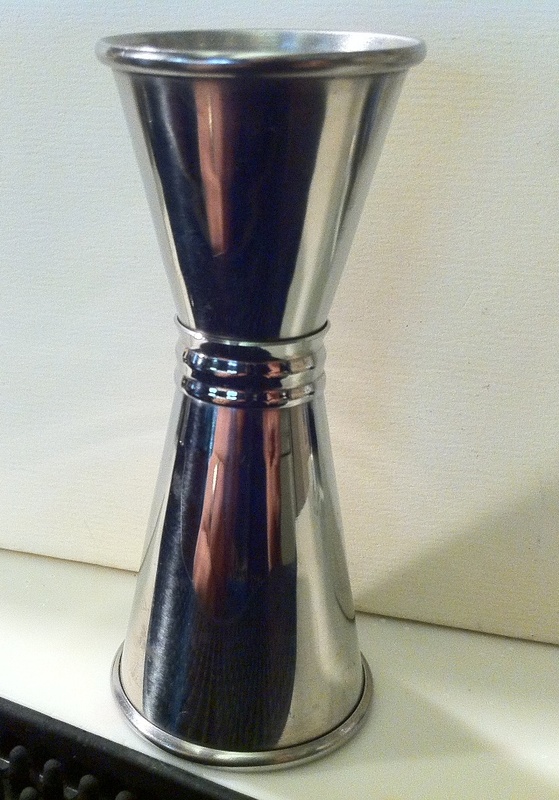 I have some of those standard stainless ones and both of the CK japanese jiggers. I will have to see if my small CK jigger is as off as yours. I would hate to stop using it as it is the best looking one!! Hi Drew - I agree! 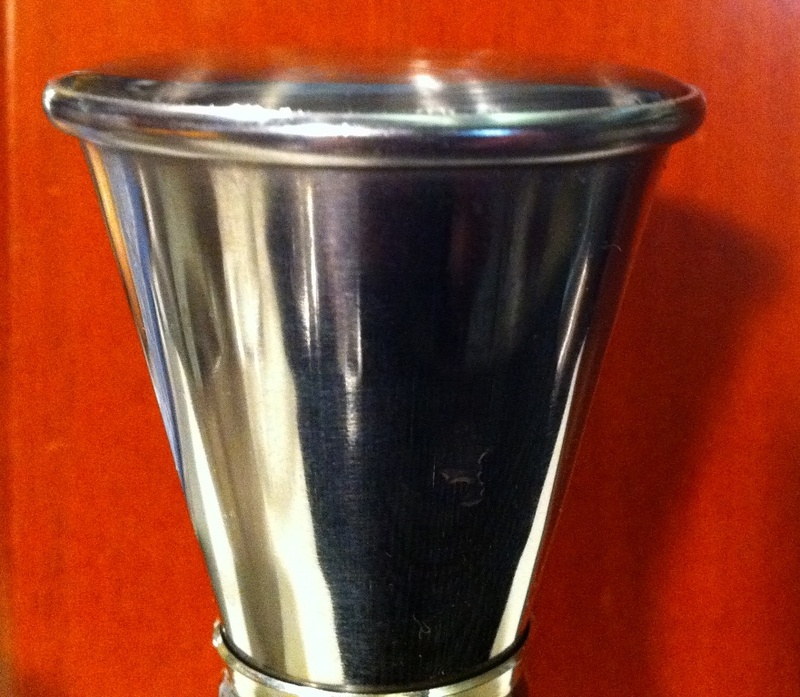 It's a great little jigger and is fun to use. The 3/4 oz side I still find very useful. On the flip side, I can now eyeball the real 1/4 oz line, though admittedly it's not ideal. Would love to hear if you find your's is measuring light too. Fantastic article, and thanks for all the hard wok on this article. I've often wondered about the consistency between brands of jiggers. 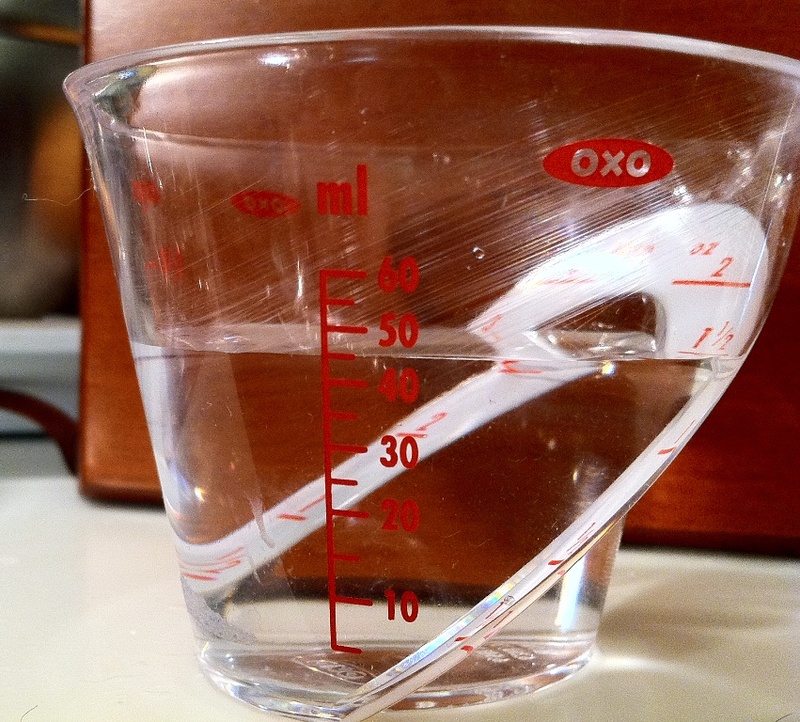 I have become very comfortable with the clear OXO measuring cup, and will now have to add the OXO Jigger to my bag. 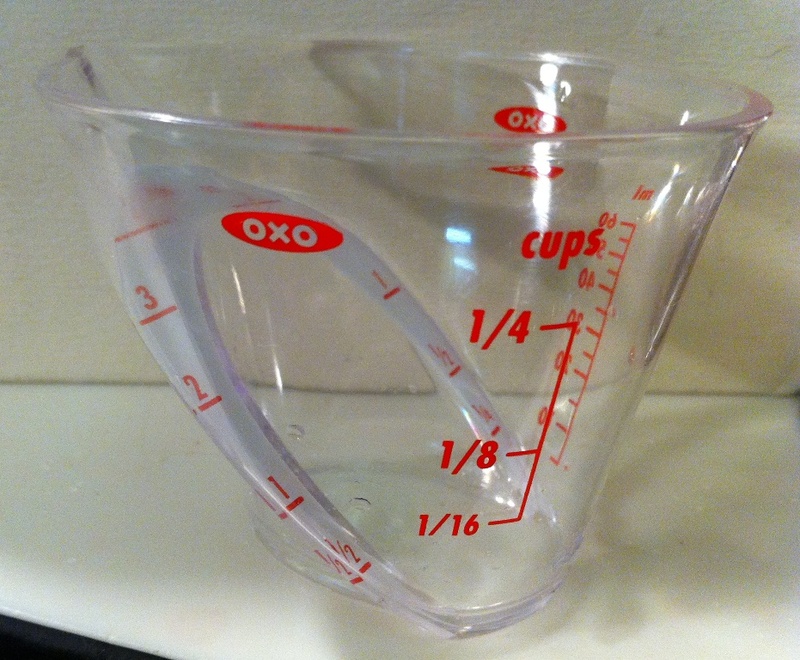 It's shocking how off the SS OXO measuring cup is. Something to consider: measuring spoons themselves are usually inaccurate. I'd suggest repeating this test using a digital scale (1g=1ml, 28g=1oz). 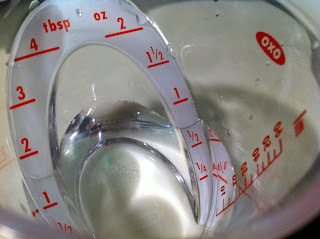 I use the best measuring spoons I could find (Cuisipro) but they're accurate only to within 10% or so. Others brands are often much worse. The smaller of my digital scales is accurate to 0.01 gram. You can pick these up for under $30, and they're great for if you bake from professional recipes, or deal weed. Hope you are fine. Loved your blog, seriously measurement in food and pouring is way more difficult . I use to worked with food industries but as time is changing every problem has a solution , Specially if I talk about industries they use different type of meters like Paddlewheel Flowmeter and other equipment as well.